The grandest Christmas Bazaar in the South of Metro is back. 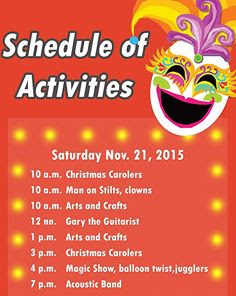 Now on its 8th year, Christmas Carnivale promises a fun-filled weekend for the whole family. Where else will you find magicians and bubble shows for the little ones while the adult go around to shop? Best of all, entrance is FREE. Shop 'till you drop at the Christmas Carnivale this November 21-22, 2015 from 10AM to 9 PM at the Filinvest Tent, Spectrum Midway, Muntinlupa City. The older kids can go for Go-Kart track for a little adrenalin rush. The Food Court offers yummy dish options from Felicia’s, Wit’s Granola, Boneless Bob’s, El Chupacabra and others. Visit the Christmas Carnivale’s FB event page to get updates straight from the organizer, Zonta Club Alabang. 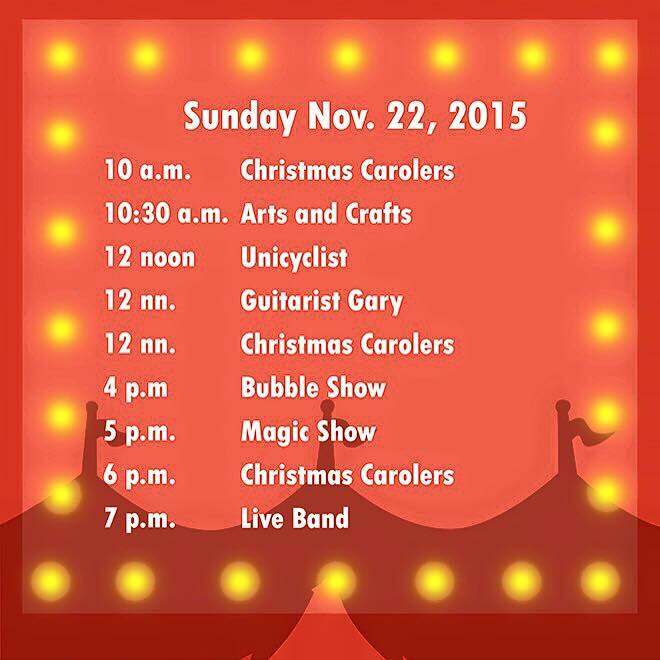 Make a difference in the lives of other people by simply shopping at Christmas Carnivale. By shopping, you support local merchants, and help Zonta Club of Alabang fund their various charity programs directed towards improving the plight of women and children.